LTG Adna Romanza Chaffee, Sr.
Adna Romanza Chaffee, was born on 14 April 1842 in Orwell, OH. When the American Civil War broke out in July 1861, Chaffee enlisted in the Union Army as a Private in the U.S. 6th Cavalry Regiment. In 1862, Chaffee was promoted to Sergeant and took part in the Peninsular Campaign and the Battle of Antietam. 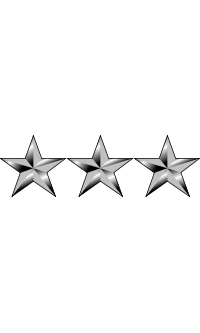 In September of that year he was made the First Sergeant of Company K.
He was commissioned as a Second Lieutenant in May 1863. 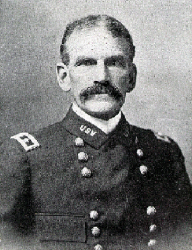 His 6th Cavalry, on detached service from General John Buford's 1st Union Cavalry Division, although outnumbered, attacked a Confederate Cavalry Regiment at Fairfield, MD, just outside of Gettysburg on 3 July 1863. In the ensuing action, he was wounded and briefly held a prisoner of the Confederates. He served with the 6th Cavalry for the remainder of the war, and was wounded twice. In February 1865, he was promoted to First Lieutenant. For his "gallant and meritorious" actions in the Battle of Dinwiddie Court House he was brevetted Captain. Chaffee decided to remain with the Army after the war. He was posted to the western frontier, and was promoted to Captain of Regulars in October 1867. For the next thirty years he served in the Indian Wars, fighting the Central Plains and Southwestern tribes. In 1868, he was brevetted Major for his actions at Paint Creek, TX. In the following years he engaged the Indians many times, most notably at Red River, TX, in 1874, and Big Dry Wash, AZ, in 1882, for which he was brevetted Lieutenant Colonel. 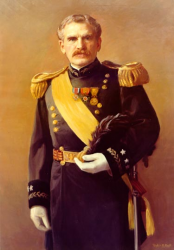 In July 1888 he was promoted to Major and transferred to the 9th Cavalry. From 1894-96, he was an Instructor of tactics at the Army's Infantry and Cavalry School at Fort Leavenworth. In June 1897, he was promoted to Colonel and transferred to the 3rd Cavalry, where he served as Commandant of the Cavalry School at Fort Riley until 1898. With the outbreak of the Spanish-American War in 1898, he was assigned a brigade and was promoted to Brigadier General of Volunteers in May of that year and, in July after the victory at El Caney, to Major General of Volunteers. From late 1898 to May 1900, he served as the Chief of Staff to the Military Governor of Cuba, General Leonard Wood, being promoted to Colonel of Regulars in May 1899. In June 1900, the Boxer Rebellion broke out in China. Chaffee was sent to China in July as Commander of the U.S. Army's China Relief Expedition. The Expedition was a part of the international force sent to rescue Western citizens and put down the rebellion. Chaffee played a key role in the rapid advance to the imperial capital of Beijing and its subsequent capture on 14 August 1900, which relieved the beleaguered embassy staffs and other Western nationals. In February 1901, he became a Major General in the Regular Army. From July of that year until October 1902, he served as the Military Governor of the Philippines. This included the beginning of the second phase of the Philippine-American War. In October 1902, he became Commander of the Department of the East, a position he held until October 1903. In January 1904, he was promoted to Lieutenant General and, from 9 January 1904 until 14 January 1906, served as the Chief of Staff of the U.S. Army. At his own request, he was retired on 1 February 1906. A historical marker documenting Chaffee's birthplace stands in Orwell, OH. The city of Chaffee, MO, was named in his honor when founded in 1905. After retiring, he moved to Los Angeles, CA, where he was appointed President of the Board of Public Works for the City of Los Angeles. Chaffee was married twice: in 1868, he married Kate Haynie Reynolds, who died the following year; in 1875, he married his second wife, Annie Frances Rockwell. His son Adna Chaffee, Jr. became a Major General in the U.S. Army and was one of the fathers of the Army's armored forces. Lieutenant General Adna Romanza Chaffee died on 1 November 1914 in Los Angeles, CA. He is buried at Arlington National Cemetery in Arlington, VA.